*For more information visit AdoramaTV YT page, and of course you can keep up with Vanessa on Instagram  @VanessaJoy. 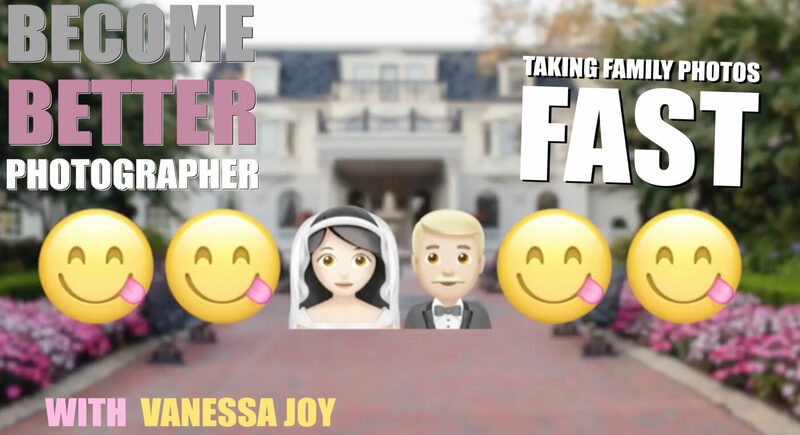 In this episode amazing Vanessa Joy (via her awesome show “Breathe Your Passion” highlighted by AdoramaTV) will teach you how to take those dreaded but sweet family photos FAST during a wedding shoot! According to Vanessa, family photos – “is your time to shine, this is your time to get in front of people that are going to be your clients, and impress them! You need to nail family photos… you need to make everybody look good! But more importantly they need to be fast! You have to know how to deal with families. When we can’t find mom… the mother of the groom thinks it’s all about her! Aunt Suzy is behind you with her cell phone taking pictures, and she’s snapping away and everyone has to look at her, and look at you, they look at her, they look at you… “. Sounds like one crazy shoot! Take a look at the progression of pictures as an example below.